I’ve already revealed what I spent all of this past year doing—revising my novel. That’s it. My 2010 in blog posts. I’m scrolling through my Google Reader now to read yours. Happy 2011, everyone. Let this new year take us all one step closer to our dreams. This is the post where I look back on this past year and see what I accomplished. And why not? If you don’t acknowledge what you’ve done to yourself, who will? First, let’s see where I started. Here’s how I began 2010. 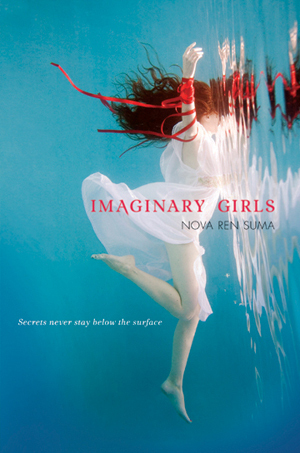 On January 1, 2010, I officially finished the first full draft of Imaginary Girls. I had no idea then how much work would still be ahead of me. But before I get to that, I wanted to tell you what other thing occurred in 2010… something related to books, something good. Something happened to me this past year—a truly wonderful thing. I started reading for pleasure again. It wasn’t that I didn’t *want* to read for pleasure before this, I love reading; it was just that I’d been working a full-time day job at a publishing company as a copy editor, which is all reading. The job of finding other people’s typos involves such close, concentrated reading that my eyesight was blurred to mush when I got home. At best I’d read one book of my own choosing per month. Maybe. But then, in 2010, my life changed. 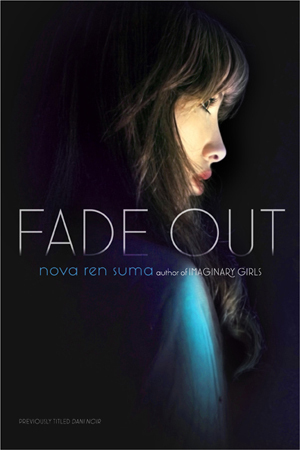 I suddenly had more time to read novels for pleasure… And once I started, I couldn’t stop. It was my month at the artists colony Yaddo this past spring that brought back my hunger for reading. There I was, isolated from E, and from the internet, and from my distracting TV set, and I found myself needing to read books… desperately. I read on breaks from writing. I read before bed. I read every day and every night. I foraged books from the shelves in the house where I was staying, friends sent boxes of books to keep me company, and I was thrilled, truly THRILLED, to get a temporary card at the Saratoga Springs Library, a fantastic library with a great YA section. That month, I gobbled up books like crazy. This hunger for reading rivaled when I was a kid, when I’d stumble out of the library with a stack of books taller than I was, as many as I could physically carry. Rediscovering my deep love of reading is the best thing 2010 gave me. But reading wasn’t all I did this year. 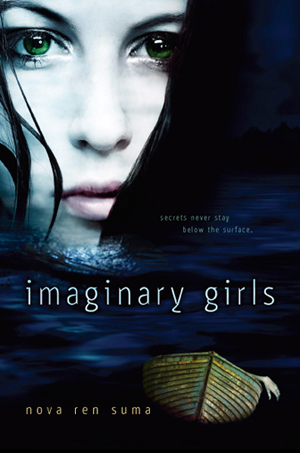 I also happened to do a little work on Imaginary Girls, the book of mine that will be coming out in 2011. Ha. I typed “a little work.” Talk about an understatement. Now… I can’t wait for 2011! I used to be in a race. With every writer I knew. With writers who had no idea who I even was. With you. With myself. I thought I was running toward something and that I had to get there, or else. And I thought how long it took actually determined my worth as a writer. I used to tell myself that if I didn’t “make it” by such-and-such age, then that would mean I’d failed. That age came and went without a published book from me. So I upped the age. Then that age came and went. I upped the age again and told myself all I needed to not be a failure was to have an agent by a particular age. Just an agent. Just the one thing. Guess what? The day I turned thirty was the day I didn’t make it. I spent a lot of time comparing myself—unfavorably—to other writers I knew. Many people I knew from the graduate-school workshops I took part in during my early twenties had already published their short-story collections and their novels—quite a few of which I remembered critiquing in class. I was happy for them, I was. But I was very disappointed for myself. I thought I’d never reach the place they did. I thought it was over for me, all because I’d crossed over that arbitrary line in the sand. I cringed when other authors called out their young ages in their bios, like it made them more worthy because it took them less time to publish. Like they were bragging. Like how long it took them meant anything at all in comparison to how long it was taking me. And, yes, a lot of this comes from jealousy. It’s hard not to compare yourself to other writers, isn’t it? It’s hard, when you’re treading water and whispering in your own ear that you’re such a failure, to innocently walk into a bookstore and see all your former classmates’ books on display. That sounds childish. But, yes, it’s hard. I once got what I thought was The Phone Call, while I was at one of my day jobs, from an agent who had been considering my full manuscript submission. This was the second novel I wrote since graduate school; I’d already given up on the first one. When I got this phone call, my heart was in my throat. I thought, THIS IS IT! I thought it was “happening.” A dump truck of fantasies poured itself out onto me as I closed the door to my office and took the phone call. But, really, the phone call was only to tell me that my novel (one I have since trashed) had potential and could use some revision and she’d take a look again if I did so. I also stopped writing my own novels. And trying to publish a novel at all. Yet the clock kept ticking. And so I thought I had to keep running. The race I was running all alone took me through a detour I didn’t expect, where I did a whole lot of work-for-hire writing under pseudonyms, and where I lost the will and energy to keep trying at my own books, and then the race swept me on another detour, where I got the chance to write Dani Noir, a book I never expected to write, and what a wonderful detour that was, and then suddenly when I thought I’d never get the chance again I was leaping hurdles with the pages of Imaginary Girls and getting the perfect agent and getting the book deal I dreamed of and then I looked around and realized NO ONE WAS TIMING ME. There isn’t even any finish line. Guess what? This wasn’t ever a race. It didn’t matter how long it took. And want to know how long, if you’re curious? It’s taken me many years to learn that life lesson, the one about how we all have our own timetable; we live life at our own pace. The one where it doesn’t matter what other people do or how fast they do it. So I’ve stopped running the race-that-isn’t-a-race. 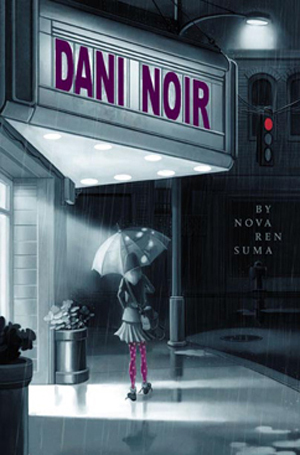 Dani Noir came out, and I got the agent I always wanted, and Imaginary Girls will be out in about six months or so. Maybe it’ll be successful—I sure hope people like it—but I’m not going to hold it up to other books and compare my experience to anyone else’s. It took me as long as it took me. I’m standing still now and just enjoying the moment. I worked really hard and I wrote a book and, soon (SOON, as in next month when ARCs are ready), people will get to read it. That’s where I am. That’s today. “Be Here Now,” my sister and my mom both always say. And I don’t care anymore how long it took me. That was me yesterday. But it was so very worth it! I’m feeling different about myself lately, more confident, or at least accepting of where I am and what I am and what is. It’s nice. Deadline Monday and I’ll feel even better. Last night I had dinner with my very first workshop professor from my very first class at my MFA program years and years ago when I was 22. I loved the way she remembered my short stories. This was the wall hidden by my gigantic dresser—when the dresser was moved across the room, these taped-up pictures were revealed. I forgot I put them up. Things are changing, but I’m still the same person in here. I love going in deep and teasing the meaning out. I love discussing possibilities. I love facing hard truths, really I do, if it makes the book better. What I love is when someone knows your characters and your story as well as you do—sometimes, you suspect, better than you do, if that’s possible, is it? Recently I’ve had a hunch that it is. I love when a good editor smooths out my sentences. Line edits thrill me. A good editor always knows just the right thing to cut. I love being edited. Even if it’s work on my end. Even if it’s tons of work. Even if I’m afraid I can’t do it. The more scared I am to face the challenge, probably the better the editing is. Before this year, I had no idea how much an editor can be involved in your novel—and how much better your novel can be from it. I used to hear a rumor that editors don’t edit anymore. Who are those editors? In young adult publishing, the brilliant editor is alive and well. And we’re all better for it.